Nathan Brown refused to back down to Wayne Bennett after their war of words escalated after Newcastle’s 15-10 win over Brisbane on Saturday night. 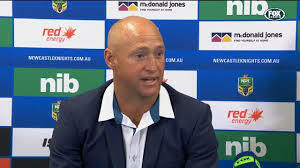 Earlier last week, Bennett blamed Brown for an exodus of experienced players at the Knights despite many good judges blaming Bennett after his stint at the club. Bennett at the time was in the midst of a break-up with his wife of over 40 years. He then began seeing an employee working for the Knignts. “The thing that I’m disappointed in myself is at the end of the day we should be talking about the players. 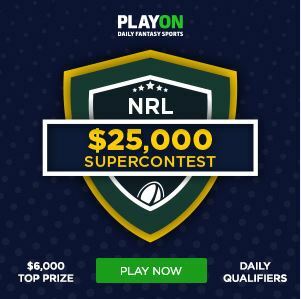 It was such a great game because I thought it was probably the best performance from the Knights since I’ve been at the club,” Brown told Triple M.
“I thought the Brisbane players put a lot of effort into it as well. “We shouldn’t be worrying about what Wayne said about me and what I said back. “The only thing I’d say about it is I was a bit hurt by the fact Wayne publicly criticised me when I’ve taken a wholistic approach up here to give the team and the town something long term. “I’ve never publicly criticised anyone for what went wrong up here and I just didn’t think it was warranted. “Whether I’ve said it wrong the way it came out, I don’t know.